The Skolkovo Institute of Technology hopes to learn from the American institution's experience encouraging innovation. On an unseasonably warm January evening in Moscow, an unusual group gathered at the capital’s elite Kvartira 44 club. Its usual clients are flocks of hipsters discussing new films or groups of actors from the nearby Mayakovsky Theater, but the young people who gathered at a table that evening were a very different lot. This group of 20-somethings speaking English and throwing around technical terms were members of the first group of Massachusetts Institute of Technology (MIT) students sharing their impressions of their trip to Russia. They were the trail-blazers of the exchange program between MIT and the Skolkovo Institute of Science and Technology (SkTech). Her answer sounded a big jargony. Maksim Artyomov, a Moscow State University graduate who is participating in the exchanges between MIT and SkTech, described his goals for the exchange more simply. The purpose of the joint SkTech-MIT program is to establish such exchanges. 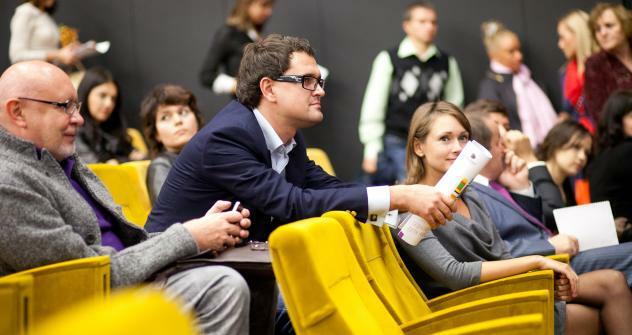 By 2014, the Skolkovo Institute of Science and Technology plans enroll it's first class. Between now and then, the institute will construct its curriculum and exchange programs. MIT is an important model for ways future inventors and educational institutions can interact. One particular program SkTech hopes to emulate is a competition by which students earn grant money. Popov believes there is no future in that kind of exchange since if new technologies are to be properly introduced, a constant exchange of experience and new knowledge is needed.